Fine ground salt and 8 select herbs and spices for a smooth flavor. 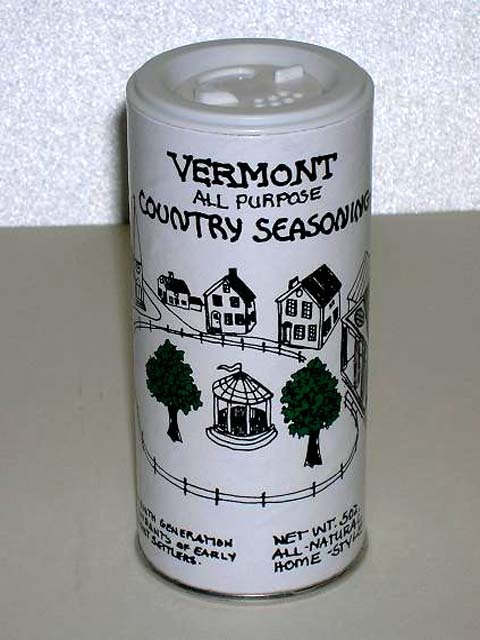 Made in Vermont by 7th Generation descendants of early Vermont Settlers. Perks up the flavor of meats, fish, salads, breads, eggs, and vegetables. Meats: Sprinkle on liberally on before broiling or grilling. Chicken/Fish: Moisten both sides with fresh lime juice, sprinkle with Seasoning, dot with butter, broil. Homemade bread: Use in place of salt in the recipe. At the table: Use in place of salt/pepper.